Customization SolenoidWe specialize in custom solenoid designs based on your specific application. Customization Solenoid ValveWe specialize in custom Solenoid Valve designs based on your specific application. Shenzhen ZONHEN Electric Appliances is specialized in designing and producing solenoids, solenoids valves, solenoids pumps and IRCUTs. Located in Shenzhen, a young and open port city with convenient transportation，has the advantage of international trade of Chinese suppliers. Like this city, ZONHEN is young and full of vitality. With leading electromagnetic technology, constantly develops numerous high-quality electromagnetic field products-- Solenoid, Solenoid Valve,Solenoid Pumps IRCUT, actuators and much more. To meet the needs of today’s industrial automation development. Help you open a new exciting unlimited possibilities of the world. 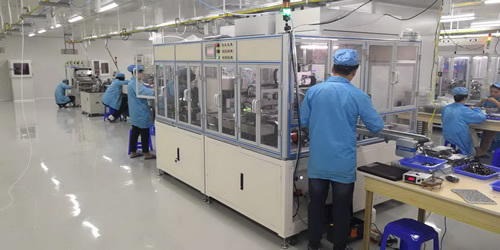 In May 2018, Zonhen Electric Appliances (ShangRao) Co., Ltd founded, Mainly produce solenoid switchers, use automatic assembly equipment to produce, the monthly capacity is about 1 million pcs. Copyright © 2008-2018 ZonHen. All rights reserved.